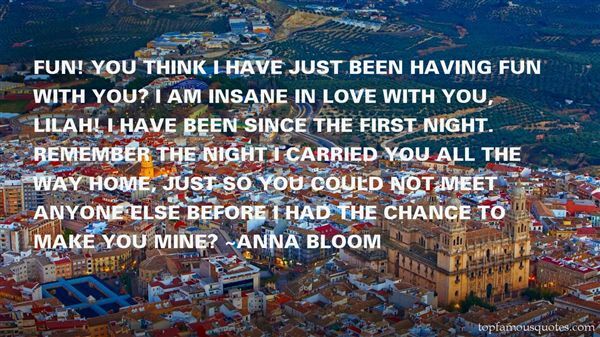 Reading and share top 12 Anna Bloom famous quotes and sayings. 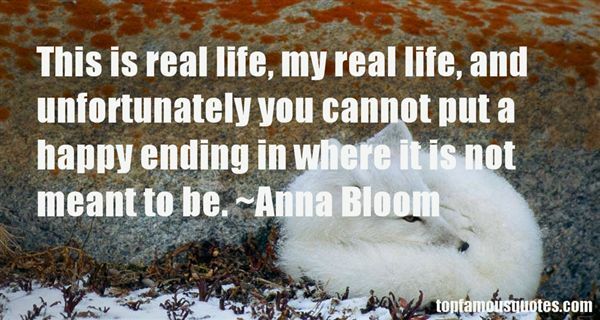 Browse top 12 most favorite famous quotes and sayings by Anna Bloom. But what he said was true enough: I had recently destroyed a perfectly good set of wire braces by straightening them to pick a lock. Father had grumbled, of course, but had made another appointment to have me netted and dragged back up to London, to that third-floor ironmonger's shop in Farringdon Street, where I would be strapped to a board like Boris Karloff as various bits of ironmongery were shoved into my mouth, screwed in, and bolted to my gums." What Did Anna Bloom Talk About?